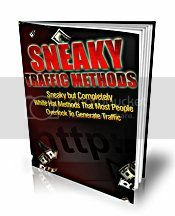 This Report reveals several ways you can increase traffic to your website or blog including…. Powerful advertising methods that most people don’t think about. Twitter strategies that’ll help you spread the word for free and by others.